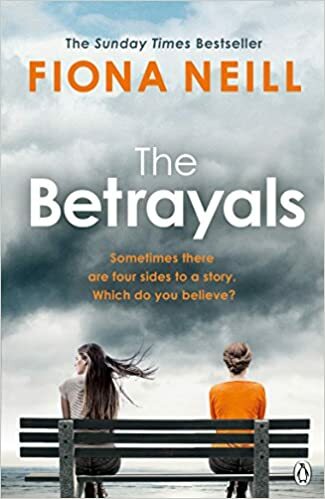 The Betrayals by Fiona Neill had plenty of strengths, but ultimately just frustrated me. It's a psychological thriller - of sorts, I suppose; it's perhaps more a family drama than a thriller - about two couples and their children. Rosie and Nick Rankin both work in scientific fields and have a daughter, Daisy, and a son, Max. Their best friends Lisa and Barney are creative types and also have a son and daughter, Rex and Ava. At the start of the book we learn that Nick left Rosie for Lisa, and that shortly before this the two families were on holiday together when Daisy, then 13, witnessed something that traumatised her so much that it triggered a severe and ultimately disabling escalation of her OCD. Eight years later, Daisy and Max are both at university when Lisa writes a long letter to Rosie, a cancer specialist, explaining that she's terminally ill and has something to confess to her. What is it that she's going to confess - and why is Daisy so certain that it will do her mother such terrible harm? The story is told from multiple points of view - Daisy's, Max's, Rosie's and Nick's - and partly in flashback. This is occasionally slightly confusing, although mainly because there are one or two things (in my advance review copy, at least) that don't quite add up. For example, Nick refers to his and Lisa's 'teenage children' in the present, but we're then told that Daisy was 13 eight years previously, making her 21 - while Ava and Rex must be 22 and 26. This is a small thing, but in a novel whose plot hinges around the unreliability of its many narrators and has false memory as a key theme, I could really have done having to worry if the mistake was Nick's or the author's, and this was not the only inconsequential but noticeable inconsistency. Moreover, it doesn't help when there are characters with such similar names. Having a Rosie and a Daisy could be ignored, but having a Max and a Rex as well is just grating. Names aside, the characters are perhaps this book's biggest strength, with all four of the Rankin family being interesting and complex. Daisy's illness is handled well, as is the effect is has on others, and I enjoyed the way Max develops over the course of the novel. Lisa and Barney both occasionally seemed like clichés to me - I don't really believe that the first three things that music critic Barney would say upon greeting his friends would all be rock music references, for instance. However, the toxicity of their marriage and Barney's drink problem are entirely convincing and I could fully believe in the discomfiture of those around them as the couple's bitterness towards one another bubbled to the surface. Four unreliable narrators and a combination of outright lies, hidden truths and manipulated memories does make for a page-turner and I was certainly gripped by The Betrayals - for about four-fifths of the book, at least. Unfortunately, I found that I was waiting for big revelations that never came and my overwhelming response to the ending was 'Is that it?' Moments that were flagged up as clues simply fizzled out and meant nothing and overall, I felt cheated by the lack of resolution and by how much that seemed important turned out to be mere filler. The premise of this book was so promising, and the tension builds nicely for much of the story, but it doesn't maintain momentum and I was left feeling rather cheated. In a saturated market, this kind of middle-class domestic noir needs to be exceptional if it's to stand out, and The Betrayals doesn't really hit the mark. Thank you to the publisher for sending me an advance copy of The Betrayals to review via NetGalley.